Just in time for the local launch of the triple-lens-powered P20 Pro flagship device, Huawei has announced that it will be also be bringing the regular P20 to Australian customers. 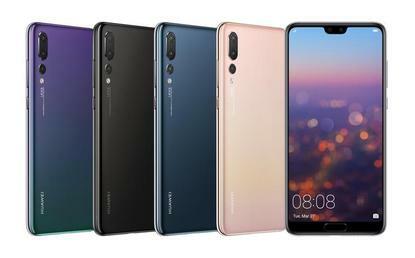 In a press release, the company says that "Huawei Australia is also pleased to announce the launch of the Huawei P20 locally." The device will be available exclusively through MobileCiti in a trio of color variants - Graphite Black, Midnight Blue & Pink Gold - from today. While overshadowed by the P20 Pro, the P20 is far from a sloucher. The 5.8-inch handset comes with most of the same flagship features found in the Pro model: including a an AI-enabled dual-lens rear camera and a high resolution 24-megapixel front facing one, a 3400 mAh battery and IP67 waterproofing. It even runs on the same Kirin 970 proceesor used by the P20 Pro. The only major drawback here is that you aren't getting the triple-lens camera found in the Pro. However, the regular P20 does come in at a slightly-lower price-point, which might widen the overall appeal a little. The Huawei P20 is available from today for $999 through MobileCiti.